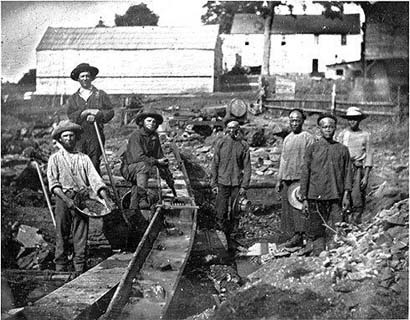 Texas and the California Gold Rush. Sam Houston (1793-1863) was the first elected President of the Republic of Texas. At six feet, three inches tall, he was an imposing figure, a man of character, strong will and courage. Houston was a United States Senator, governor of Tennessee, lawyer, politician, land speculator, drunk, general of an army, poet, father, husband, lover—and twice President of the Republic that he helped create. In 1833 Antonio López de Santa Anna was elected President of Mexico. He was also the commander of Mexico's army. In March of 1836 he led a force of 1,500 soldiers to Bexar (San Antonio) to subdue the Texas rebels, a force comprised mostly of former American citizens, Hispanic ranchers and farmers who had joined the revolution for independence. 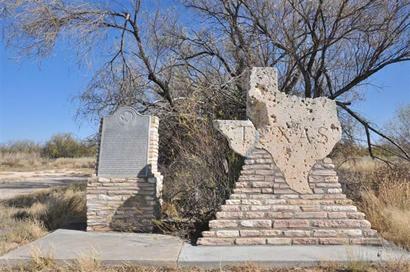 Six months earlier, General José Urrea's forces defeated the rebels at Goliad, mostly farmers and ranchers who surrendered when promised fair treatment. Although Santa Anna ordered them murdered, about thirty escaped while their comrades were shot down in cold blood. When Santa Anna's forces arrived in Bexar, he found William Barrett Travis and less than 200 militia men fortified in the Alamo. 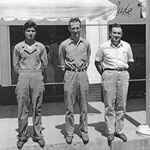 They'd been ordered by Houston to abandon the site and join him, but they'd refused. Some think that was a strategic error. Travis and his men fought as bravely as any could. They killed or wounded about 600 Mexican soldiers, but were not victorious. Their defeat was costly to the Texans, weakening Houston’s already small army. Houston had a plan of defense which most Texans did not support—one of waiting and running ahead of a much superior force than they had until he was in a position to win a battle. Houston was determined to lead the Mexican Army on a wild goose chase, utilizing a "scorched earth campaign" beyond their supply lines, stretching them out geographically and logistically until he could fight them at a time and place that he chose—one where he would still have an army after the battle was over. Dead men can’t win wars. Houston's men hated him for refusing to fight and many deserted, calling him a coward because of his policy of running away, but run he did. Houston's forces ran until the Mexicans began to straggle. When he made his camp beside the Rio San Jacinto, Houston realized he was facing a forward element of the Mexican army, but not the whole army. The Mexican force was much larger than his small army by a wide margin, but not so large as to make it impossible for him to fight them. If the enemy had been too strong, he would not have engaged them. Santa Anna had about 1,500 men, while Houston had about 800, but Houston realized that he had a chance to win the fight. Morale was low, so he had to take the chance as his men were losing confidence in him. Though he didn’t know it, Houston was on the verge of winning the war. On April 21, 1836 he addressed his men, asking them if they wanted to fight today. The surprised and disheartened men, sick to death of retreating, cheered when they understood what he was about to do. Though outnumbered and outgunned, this rag tag army of Texan and Mexican farmers and ranchers, store merchants, and every other kind of civilian, attacked Santa Anna's superior force. Mounted on his horse, Houston led the charge. He was not a general who stayed behind, directing his men from a place of safety. He was in front of his men at all times, inspiring them to charge and charge they did. Houston was on his third horse as two others had been shot out from under him. He stayed in the fight even though his boot was full of blood from a shattered ankle. Houston and his men killed about 600 Mexican soldiers, captured over 700, and chased the rest out of the area on foot, many drowning in the nearby swamps. Houston’s casualty list was less than a dozen dead and less than two dozen wounded which truly amounted to a miracle of generalship if there ever was one. Resupplied with ordinance and supplies captured following the battle, Houston and his small army were able to continue their campaign. The Texan forces were stronger and the Mexican forces weaker after this battle. Compare San Jacinto to the Alamo and you know what a victory looks like and what a defeat looks like. If that wasn't enough of a victory, the next day brought the Texans an even greater victory—they captured General Santa Anna, the president of Mexico. Incredible as that seems, the dictator who envisioned himself the best general in the entire world was actually leading a forward group of soldiers. He was the one man in the entire world who could end the war, which he wanted to do to save his own neck, now in the hands of the men whose farms he had destroyed. These men were the survivors of other battles or relatives of those Santa Anna had murdered, wives and children he had caused to be killed or raped and robbed. There was not one man in all of Texas who wouldn't have wanted to tear Santa Anna to pieces with his bare hands. Houston’s men wanted to hang Santa Anna from the nearest tree and Santa Anna knew it. Nothing stood between he and that last step off the back of a wagon with a rope around his neck except for one wounded man—Sam Houston. Houston knew what an asset they had and he stopped his men. They didn’t like it, but they obeyed because of the victory he had brought them. What does Sam Houston have to do with the California Gold Rush of 1848-49? On December 29, 1845, the Republic of Texas was annexed to the United States, becoming the 28th state in the union. As a result, the United States "inherited" the territorial claims of the former republic, including the disputed area between the Rio Grande and Nueces Rivers (which led to the Mexican American War that was concluded by the Treaty of Guadalupe Hildalgo.) The first of five laws passed as part of the Compromise of 1850 set the present boundaries of the state of Texas in return for payment of $10 million, the amount of debt accumulated by the Republic of Texas during its struggles with Mexico. 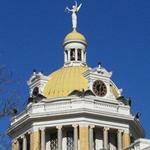 The second law passed as part of the Compromise of 1850 provided for the organization of two new territories: New Mexico and Utah. The land transferred from Mexico to the United States (referred to as the Mexican Cession of 1848) included all of present-day California, Nevada, and Utah, most of present-day Arizona, the western half of present-day New Mexico, part of present-day Colorado, and a small part of present-day Wyoming. The land for the Utah Territory had been claimed by the Republic of Texas and included the eastern half of present-day New Mexico, southern and western parts of present-day Colorado, and parts of present-day Kansas, Oklahoma, and Wyoming. The third law passed as part of the Compromise of 1850 allowed for California's admission to the Union on September 9, 1850. 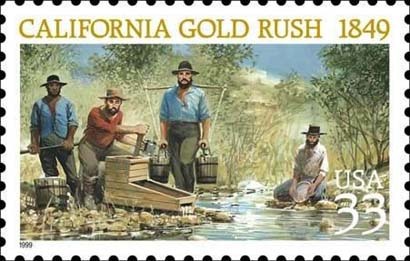 The Gold Rush in 1848-1849 brought enough people into California to make it eligible to become a state. In some ways, Sam Houston was the "the father of his country", the Republic of Texas. He led an army to victory over Mexico and not only gained independence for the new republic, but ultimately enlarged the United States with the annexation of more than 500,000 square miles of land. At the end of his life's journey, Houston was lying in his bed, unconscious, while his wife Margaret read to him. 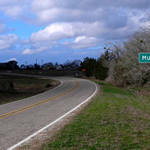 She later wrote, “His is lips moved” and she heard him say, “Texas—Texas—Margaret" — And he left us." The doctor said he died of pneumonia, but I think it's more likely that he died of a broken heart as he watched American fathers and sons kill each other and tear his country and Texas to pieces for no sensible reason. Frank W. Lewis’ name is engraved at the state capitol in Carson City as one of Nevada’s leading prospectors. His latest book is The Gold Rush: 1847-1849. Visit the author at www.rumpah.com and join his fans on Facebook. The Raven: A Biography of Sam Houston [a Pulitzer Prize winning biography] by Marquis James, University of Texas Press (1988). The conclusions and interpretations of the words quoted in the last paragraph are those of Frank W. Lewis, the author of this article.